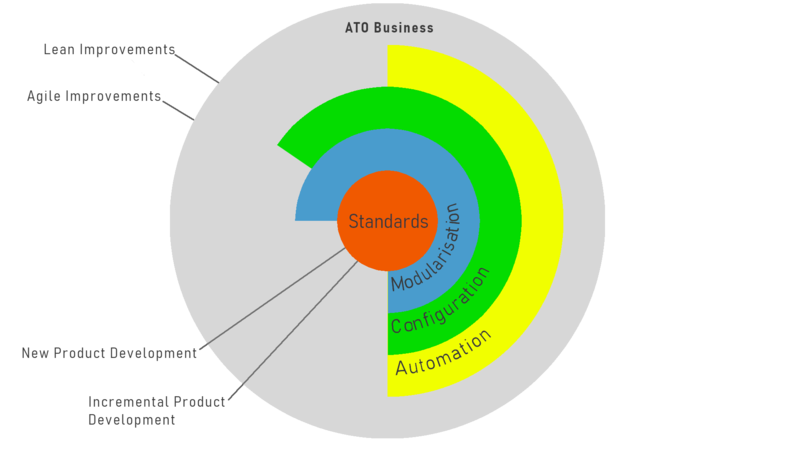 ATO is a variant of make-to-order production approach in which assembly starts only after a customer’s order is received. Product standards will be pre-defined. Gatehouse design can assist ATO companies to develop modular products to suit their assembly processes. Providing modular documentation required by different customers or markets. For example, documents may be required in different languages. Modular documentation can be used to simplify the production of documentation, streamlining the order fulfilment process. Modular documentation may consist of complete documents or modular content.